We are 28 days into the new year, and people are talking about whether or not article marketing works. Well, the same thing was asked in 2015, and many marketers started to doubt whether or not there was power in this type of marketing collateral. The short answer may be a heavy handed, no. But the long answer may actually change the way that you see SEO in the new year. With that in mind, consider a few things that are still true thus far about this type of work. No matter how much you rely on Google, you are going to find that the biggest ranked sites and niches utilize writing as part of their strategies. Major SEO companies still work out a lot of writing to publish on blogs, and article directories. Even though some of the directories from the past are gone, there are still a lot of places to publish this type of work. This goes beyond just press releases as well, and it’s something that you’re going to be surprised by. As far as article publishing, you are going to see that backlinks are the main part of this solution. 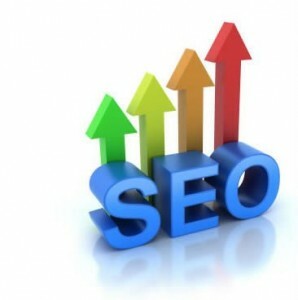 Backlinks generated from authority level content design can give your site a huge jump in rankings. However, it may not be immediate. SEO can take upwards of 12 months to come to fruition, but done right, it can definitely give you a fighting chance against bigger entities. There’s a lot of niches that are competitive, and finding a way to challenge them is hard, without backlinks and article creation. If the world of article marketing was going south, you would see diminished results in regards to writers online. The truth of the matter is simple, there are an increasing amount of content marketers, writers, and SEO companies pushing content design that relies heavily on article creation and publishing. That being said, if you are not going to go this route for your SEO work in 2016, you’re going to end up losing out on a large portion of the audience you need to succeed online. Back to the initial question, does article marketing still work in 2016? The short answer can be no, but honestly, it’s not likely that it’s going to go away. Google’s algorithmic changes are always going to point towards higher quality content design. Writing is one of the strongest forms of that, and you’ll always see it measure up against other entities of optimization. Marketers have been using a weird technique lately. It is something that some people have talked about already, but it wasn’t really a big deal until Digg.com put a Buzzfeed article up on their front page. It talked about bad marketing, and not the SEO kind. Mainly guilt tripping people into signing up for email marketing and more. This is a tactic that a lot of affiliate marketers have been known to use, and some have been called out on it. Is this a good idea? Should you be guilt tripping people into signing up for your newsletters? You see it often, especially on SEO websites. You go to a page and there’s a fade-in screen. The screen has a nice clickbait title, and then asks you to enter your email. However, if you decline, you have to do so by clicking a shaming commentary. For instance, let’s say you went to a skateboarding website. The fade-in marketing UI says, “The Fastest Way To Learn Skateboarding Tricks”, then prompts you to enter your email. You don’t want to learn, so you go to try and click out. In order to do so, you have to click on a URL link in the UI that says, “I don’t want to learn skateboarding tricks, because I’m a poser”. This is Exactly what SEO companies and marketers across the internet are doing. It’s easy to say that you should rely on article marketing and SEO to do the heavy lifting for you, but honestly, this works. It’s not a good thing, it’s akin to pop-up ads that no one wants to click on, but it works. As long as something works, you’re going to have to wrestle with what you want to do. It is definitely not something that long term web users are going to submit to, as more and more ad blockers are starting to stop these. But, tech workers are getting paid to figure out how to work around these issues. Your marketing is up to you. What do you want your readers to get hit with? 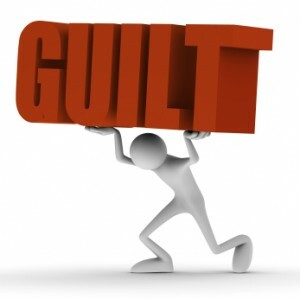 Are you going to guilt them into signing up for email lists? Or are you going to go with SEO and article marketing? That’s something you have to answer. Should You Hire An Article Writing Service? There are a lot of different ways that you can get noticed online today. One of the most prominent, despite what some pundits say is simple, focusing on article marketing. This is a type of marketing that requires you to look into several elements to make moves. Whether you want to do something simple, or you want to work on long form writing, content marketing is the crucial piece of the bigger marketing goals you should have in place for your website. With that in mind, many may ask whether or not they should hire an article writing service. This is a hard question to answer for some, and for others, it’s a no brainer. What should you do? Here are a few notes on the matter. Do You Have Writing Skills? 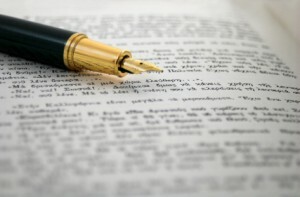 If you are not going to hire an article writing service, then are you going to go at it alone? Will you be writing all the pieces yourself? If so, are you good at actually creating content? Some people think that they can pull together a decent sentence, but will the end user actually use the information? That’s something that many people don’t really get at first glance. If you have skills to work with the English language, then go for it, but only if you are going to dedicate yourself to putting up a lot of content. If you’re not going to leave this to the professionals, then you have to match their prowess to get noticed, simple as that. For some people the question of whether or not to hire someone in this regards is a matter of looking into the cost break down. How much will it cost for you to pay for a writer? Furthermore, how much do you want to invest in content marketing? There is no “wrong” answer here, and it’s something that will either make or break your decision in regards to hiring a service. If you don’t have a big budget, you could still work with article marketing, you’ll just have to be careful as to how you formulate your content. To answer the initial question, it’s simple, hire an article writing service if you want to compete head to head with other companies. If your goal is to compete with larger entities, then you will have to get content that is as good as theirs, if not better. That can only be done with the help of a professional in the field of content. Otherwise, you’re going to be fighting an uphill battle, and may lose swiftly. 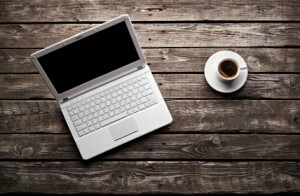 When it comes to blogging, you have to work with a conversational approach to work best. Yes, there are some exceptions to this, but if you are going to compare blogs beyond the political arena, then personal elements are going to trump all others. With that in mind, consider the absolute basic elements of a blog post. With these 3 things in mind, you will be able to craft better content, or at least see what experts that work with article marketing do on a regular basis. The title of a blog post should speak to the volume of what a reader is going to read. However, in today’s frenetic SEO driven marketplace, too many are using the clickbait method that tabloids are pushing. Is this is a good plan overall? Not really. For long term success, go beyond the clickbait method, unless you’re setting up a gossip blog, in which case do whatever it takes to get noticed. Other than that, focus on titles that speak to the truth of the text. Writing can be in many forms, but for blogging, you want to dumb it down a little. With the exceptions being academia, you’re going to want to bring in as many people possible to your site. That means throwing out larger elements of vocabulary, if they are not needed. You have to gauge what your target audience is, and whether or not they are going to know what you’re talking about. For niche sites, you may need to focus on very specific language to gain any sort of foothold. For other pages, you may need to work with a higher level of academic writing. Conversational style should be loose, free flowing, and not too complex in nature. Tags are meant to guide readers to other elements of your site. They are traditionally bread crumbs within web design, and can help cement SEO practices in some instances. So long as you don’t use the tags in each post to try and stuff keywords into your page, you should use them as placeholders for more information on a topic. When someone clicks on the tags, they will find other posts with similar elements in place. Simply put, they are not to be afterthoughts. As you can see, there are 3 simple steps to putting up content for a blog. These are just some simple pieces, as there’s much more to explore on this topic, but for the beginner, these are good points of interest. Some SEO pundits right now are decrying the death of the search engine optimization protocol of yesteryear. In fact, some aren’t focusing on this moving forward with plans. Instead, they are focusing on social, content, article, and other branches of what used to be the bigger picture of search engine optimization as we know it. That begs to question, does SEO still matter in 2016 and beyond? Some will immediately say yes, but there are some that are finding success without having to spend long hours with this solution. First and foremost, let’s be honest, the time it takes to really implement the strategies of premier optimization is nothing short of a long winded process. While there are some SEO companies that can assist with the heavy lifting of this, most will not even see results for months on end. That doesn’t mean that it doesn’t happen, it’s just a time consuming process that people end up leaving behind as they start to work on other marketing tactics. There’s a lot of time that goes into managing and creating the right set of tools to build optimization the right way. All it takes is for one article to hit the front page of Reddit or Digg, and you will see that all the years of SEO isn’t going to help you. In fact, some don’t even make it to the front page of these sites, they just need to be in the trending column, and in the case of Reddit, there are those that “sell” influence within the page. Suffice to say that content marketing could very well get cheated, and you could see your competition getting the upper hand, for a short time. To be fair, the whole purpose of SEO is not just to have a lightning storm of visitors hit your page. You want to have long term successful, targeted traffic. In that regards, yes, SEO matters in 2016 and it’s one of the best things that you can work on as part of a long term marketing strategy. While some people dismiss this notion, the smart money is actually on optimization changes coming within the first and second quarter of this year. Look for Google to shift the algorithm again, and brace yourself for the penalties that are no doubt going to chop your traffic in half. It’s tough to compete with SEO alone, but it still matters, despite what some pundits may say. The basics are always fascinating, in that people forget them. They learn them, and then run through an advance placement of things. The same can be noted in regards to SEO. SEO marketing is something that a lot of people talk about, but few actually push within the confines of the basics. Some will argue that it’s because the changes of Google’s algorithm. However, if you’re honest, you’ll realize that the basic tips that come with starting a blog work today as much as they worked in years past. So much so, that the following tips are still repeated by top SEO blogs today, simply because they work wonders for ranking. Every single blog that you come across will either have this, or they will not be worth their salt. The best blogs in every niche have this in place. Some of them are annoying, others are right on point. No matter how you decide to put this in place, you’re going to need to have a related posts section for your website. It’s very important that you have this in place. If you don’t, you’ll have hundreds of posts on your blog, without any sort of relatable content. There are exceptions to this rule, but more often than not, you may want to look at this. When you’re writing a series of posts for SEO or anything that you may find yourself publishing, make sure that you have a previous and next post link that is easy to get to. Don’t try to hide these, and don’t try to delete them. This is a good thing. It will show people related posts, even if you’re not directly putting them underneath or above your posts as you publish them. This is a good way to increase the chances that you get traffic herded and pushed in the right direction overall. One of the easiest ways to ensure that your web page gets usurped into the Google lexicon is to update often. Update on a regular basis, and you will see a nice push forward in regards to your rankings. 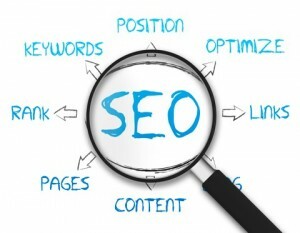 As far as SEO is concerned, this will pay off dividends. There’s no major SEO professional that will tell you not to update your page on a regular basis, so you might as well schedule it in to ensure that you’re gaining ground overall. Test this out, and see what happens. Copyright © 2011 - 99CentArticles.com - All Rights reserved.